Shower curtain with the same color, patterned bath mat, can better set off the beauty of the bathroom. If you have any questions about this product by homecoco, contact us by completing and submitting the form below. If you are looking for a specif part number, please include it with your message. 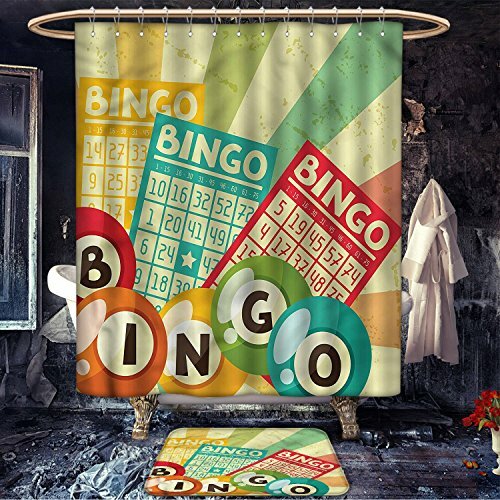 Society6 Bingo - Black And White Sprinkle Retro Modern Pattern Print Monochromatic Trendy Hipster 80s Style Shower Curtain 71" by 74"